Let's focus on Granite countertops today. If you missed our previous blog on Quartz, you can find it here and stay tuned for the next one, focusing on Marble. Granite is 100% natural. When properly sealed at installation, it is stain resistant, durable, hard to scratch, crack, or break and can withstand high heat from hot pans. Granite doesn't show watermarks like Marble can. Because of its natural stone beauty, Granite can be limited in color options however your countertop will be unique to you with its whirls, specks, and other natural coloration variances. Granite does require a bit more upkeep than Quartz, it will occasionally need additional sealants to protect it from stains. 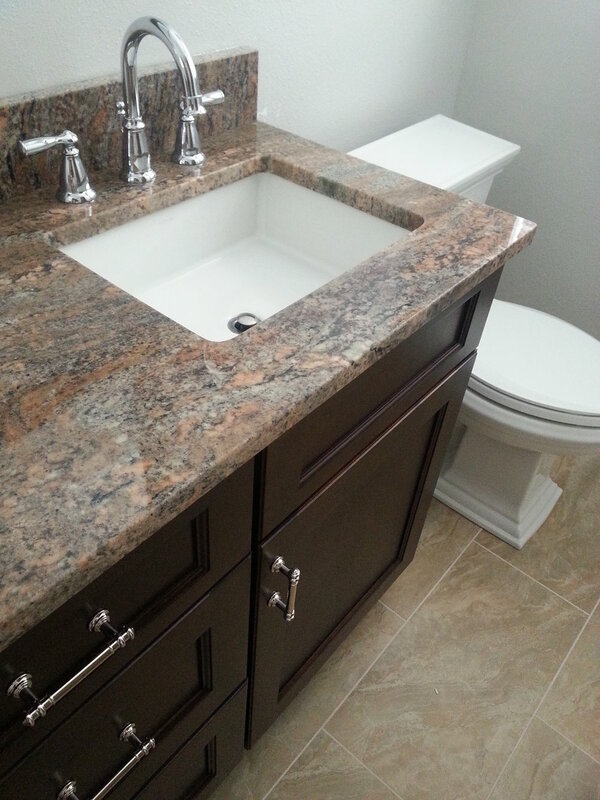 Granite is also typically the more affordable of the three and has a similar look to marble. While it is usually more affordable than marble, it is more durable. If you have further questions on what countertop is right for you and your project, let us know!